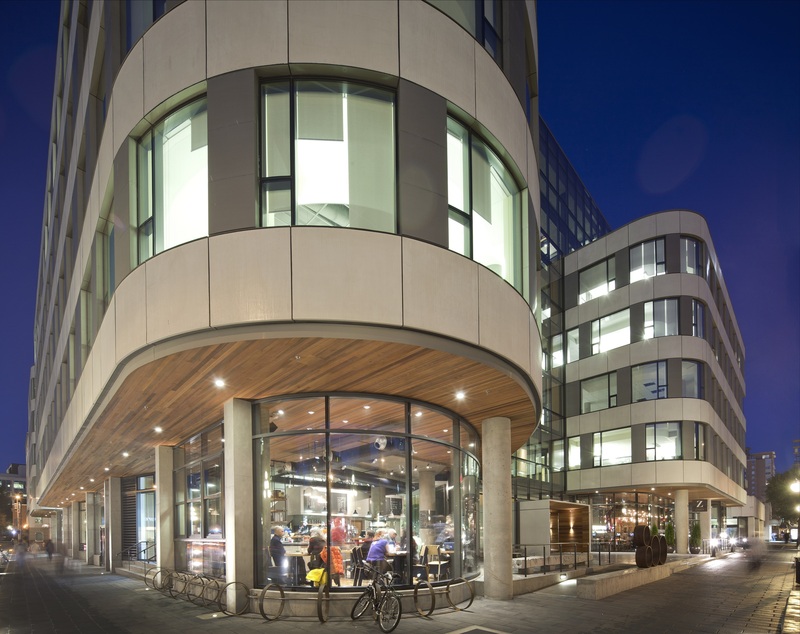 The Atrium is a seven storey, 19,000 m2 (204,000 ft2 ) mixed-use building in Victoria, BC, Canada. The building, with a unitized curtainwall envelope system, has been designed for optimized energy-efficiency and environmentally conscious operations. Located in a historic downtown neighborhood, it features ground- floor shops and a seven-story central atrium that allows daylight to permeate the heart of the building. Its unique façade is comprised of curved and flat Ductal® spandrel panels that are just 20 mm (3⁄4 in.) thick, with 30 mm (1.18 in.) ribs. The lightweight, thin panels met important design requirements: the overall building structure could be reduced (since it no longer had to carry a higher dead weight) and; its reduced mass made it possible to reduce the seismic forces on the support structure – as Victoria has one of the highest seismic ratings in Canada. 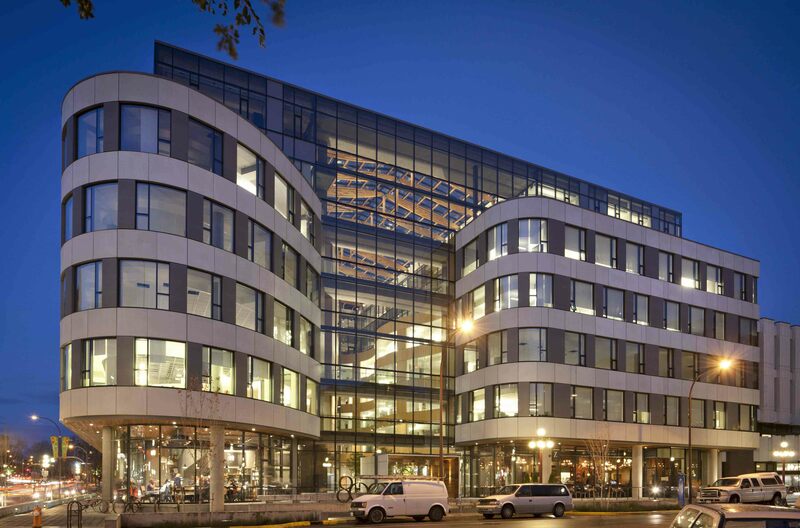 The Atrium Building is certified “LEED Gold” by the Canada Green Building Council and winner of a PCI Design Award. It met project requirements for a panel system with curved and flat textured panels that are thin, strong and lightweight – resulting in an overall reduced mass and reduced seismic forces on the support structure.